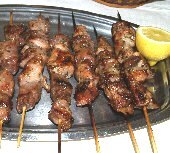 Trachanas is a food directly related to the Cypriot culture and rural life. Trachanas is a true national dish such that no visitor should have been left without tasting this authentic soup of Cyprus, made only with a few simple natural ingredients, exactly as it was made decades ago by our great grandmothers. Trachanas is a porridge made from cracked wheat and soured goat’s milk (sheep or cow used less frequently). The name refers both to the sun dried dough porridge and to the soup that is made from it. Every cookbook of authentic Cypriot cuisine contains a recipe for trachanas soup with minor variations regarding its preparation. Wheat has been used by the Mediterranean people since the Neolithic times. One such use involves the mixing of wheat with soured milk, a process that is practiced in many countries of the Eastern Mediterranean and the Middle East. The ingredients, the processes and the methods of preparation for use in the local diets are basically similar although certain differences are important in defining local products as unique to their respective areas. The Greeks name this product xinochondros or trachanas, the Turks refer to it as tarhana, the Egyptians as kishk and the Iraquis as kushuk. 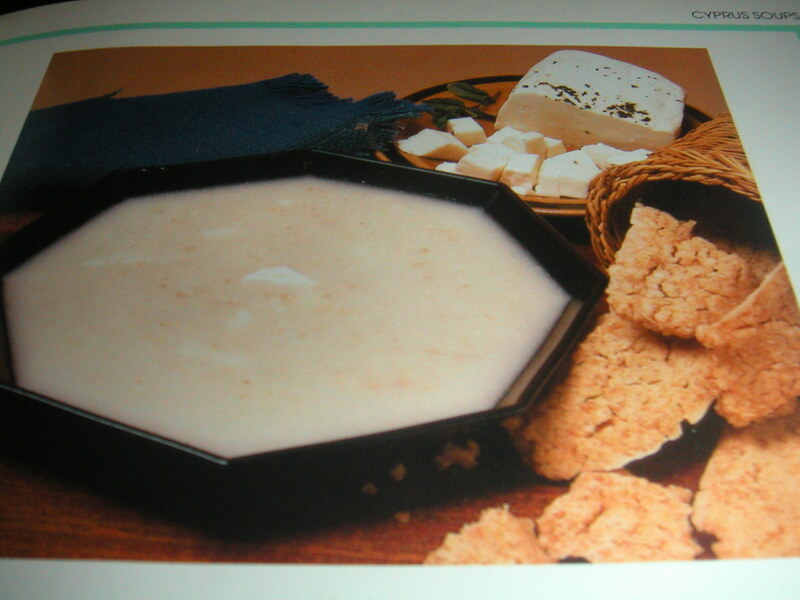 In Crete a variation of xynochondros relates to a sweet product made from fresh milk that is named galochondros. Traditional trachanas is a dried food, based on a fermented mixture of grain and yoghurt or fermented milk from sheep, goat and occasionally cow’s milk and it is consumed as soup. As the dry porridge is both acid and low in moisture, it preserves milk proteins effectively for long periods and it is therefore a highly nutritional food. In older times, trachanas was made exclusively at home by rural families, once a year during the months of September-October, dried in the sun and stored in a cool place making this an important food stock for the winter months. This is still practiced both in rural areas and in towns mainly by older women. In rural regions where trachanas is still made, it plays a significant role in the diet of local people and its process is regarded as an important part of their customs and historical ties with agriculture. 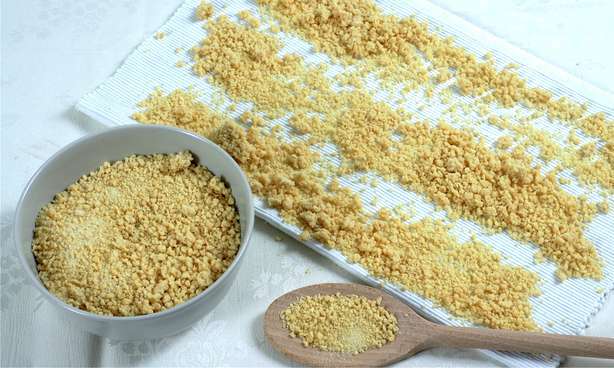 It is probably the case that sun-dried porridges made from milk and grain is an ancient concept that has taken place in areas other than Cyprus including Greece, Asia Minor and Egypt, under different names, varied preparation methods and choice of ingredients. Some scholars connect it to the tragos (τραγός) described in Galen’s Geoponica. William W. Weaver in his essay on the Origins of Trachanas1 notes that ‘milk based porridges dried in the sun for use during winter are so ancient in concept that they cannot be dated and are probably as old as the gathering in of grains’. Trachanas porridge is prepared at home once a year, usually in the months of August and September, for the purpose of keeping adequate stocks for the family during the winter months. In older times, milk was collected from domestic goats and the small number of animals meant that several days’ milking were needed to complete the required quantity for making adequate supplies of trachanas. The domestic preparation was a woman’s job but as the work was tedious it meant that the help of friends and family members was essential. The heavy work which involved the stirring of the mixture was occasionally undertaken by the men of the family as extra muscular strength was needed for the stirring process. W.W. Weaver gives a complete description of the process for making trachanas. A large earthenware jar called a stamna was filled halfway with soured goat’s milk. Milk had been added to it one kilo a day over the course of sixteen days. Some people now add a little yogurt or rennet to hasten the souring, but if the same stamna is used from year to year, it will contain the necessary microbes to start fermentation without artificial aids. The stamna was kept in the cellar while the milk fermented. In fact, it was also buried halfway into the cellar floor in order to keep the milk cool. The top was covered with branches of wild thyme both to ward off insects and to impart a subtle flavor to the milk. The herb flavor worked its way into the milk because it was stirred up twice a day while it was souring. The fermented milk, which is what gives trachanas its distinctive flavor, was then poured into the copper kettle and heated until hot but not boiling. It was stirred continuously with large wooden spoons to which the women had tied springs of wild thyme and fennel. 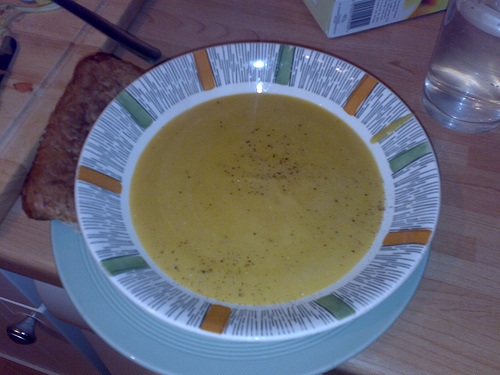 The springs helped with the stirring and also imparted more flavor to the preparation. As soon as the milk was well-heated, the cracked wheat was added a little at a time, until gradually all went into the kettle. The porridge was stirred until thick enough for the wooden spoons to stand on their own – a process that took at least two or three hours. The kettle was then removed from the fire and set down into a pool of water up to the line of the trachanas inside. The mixture remained there several hours until it cooled and set firm enough to handle like sticky dough. At this point women in the village were invited to come to the house and help “cut” the trachanas. Armed with wooden spoons or spoons fashioned from reeds, they dipped their utensils first into some hot milk set aside for that purpose, then scooped out long tube-like “boats” of trachanas. The hot milk helped the spoons to “glide” through the stiff trachanas and thus prevented them from sticking and pressing the trachanas together to make it unpleasantly dense (well-made trachanas should be porous). Each fresh scoop was laid on large reed mats to dry in the sun for two or three days. The trachanas would be rolled over at least twice a day in order to dry out evenly on all sides and is then stored in a cool place (today’s households store trachanas in the freezer) for use throughout the rest of the year. Soak the trachana in cold water for about 1-2 hours. Place the soaked trachanas (including any left over soaking water) in a pan, in moderately warm water adding the chicken broth (or chicken stock). Simmer gently for an hour, stirring occasionally so as not to stick at the bottom. Just before removing from the fire add the halloumi cheese boiling for another 3-4 minutes. Serve hot with boiled chicken. Trachanas remained for centuries an important food of the rural population because of its high nutritional value and its good storing attributes. Despite the globalization of dietary habits, preparing trachanas the old way is still a process that takes place both in villages and towns, mostly by women of older age. Modern Cypriots still love this nourishing soup, especially during the winter months along with halloumi cheese and boiled chicken. Trachanas soup requires no additives or preservatives and therefore makes for one of the healthiest and nutritious foods. Trachanas may also be consumed fresh or dry as a porridge. The nutritional value of trachanas was examined by Anyfantakis et al2 who concluded that xinochondros (very similar to Cypriot trachanas) is a product rich in protein and carbohydrates, much higher than most cheeses. It is also high in calcium and other minerals and provides in energy terms 360-400 kcal/ 100 grams. Trachanas in Cyprus is primarily produced by middle-aged women for their own family needs and dried in the sun. Commercially, it is made available by small rural dairies and also by the island’s main dairy industries which use commercial driers, a small deviation from traditional practises but one which greatly improves hygiene. The product is normally packed in polythene bags and sold by the kilo in retail stores. It is a great product for people who prefer food without additives or preservatives – but plainly with a few, natural ingredients made using simple processes. It is evident that traditional products offer significant nutritional advantages and require more research in understanding and promoting them to foreign markets. Trachanas as a unique traditional food of such high nutritional value should be further studied and saved as an indispensable part of our gastronomic heritage. Cypriot families still place it high on their dietary habits but promotion to foreign markets as a health food requires significant product development and marketing efforts. For a start, trachanas should become part of the suggested menu of restaurants. Commercial production is essential and should be further supported, so long as certain standards are set to ensure that quality and tradition are maintained and supported by improvements in hygienic conditions.